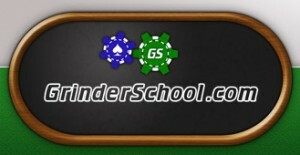 GrinderSchool is an online poker school focused on helping low stakes players to win money consistently. They do this by offering members access to SNG, cash game and multi-table tournament instruction videos, as well as access to an active and well moderated poker forum. The GrinderSchool team includes 8 skilled poker enthusiasts / professionals who are the main source of videos and forum threads. If you enjoyed the review below and want to support the Poker Bankroll Blog, please use the referral code “pokerbrb” together with the link in the article. MagicHoldem is one of the top online poker odds calculators. You may ask, why do I need one? Well, professional online poker players know that the key to playing poker is knowing the odds. Bluffing is a necessary talent, sure, but mastering the art of bluffing won’t guarantee that you win games. Consistent winners in poker know about playing the odds to their advantage. Strong players knew concepts like pot odds, where even with a weak hand, the recommendation is to bet as the pot is so large relative to the cost to try for it. CLICK HERE FOR AN IN DEPTH REVIEW OF MAGICHOLDEM. POKERBETTER™ is a specialized cutting edge tool for Texas No-limit tournaments that aids you in sizing your bets correctly in every possible situation to maximize your chances of taking down tournaments. CLICK HERE FOR AN IN DEPTH REVIEW OF POKERBETTER. Get the upper hand on your opponents through hand histories and specialized poker tools. We offer a discount coupon of 10% on all PokerTableRatings products as part of the collaboration between the Poker Bankroll Blog and PokerTableRatings.com.